Back at the first part of March, I had heard that LEGO was going to be opening up an official store here in Utah… the first one for this state. Which is surprising given the number of kids LEGO fans we have in this state. 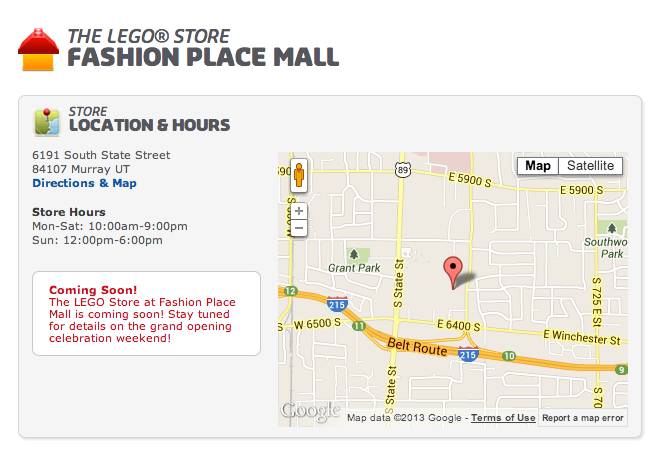 Regardless, the news is getting more official with the official LEGO site having a dedicated page for this new store at the Fashion Place Mall. Which just so happens to be right across the street from where I work. DANGER MARTY MANKINS… DANGER!! Between that and the Apple Store, I might need a new job making a LOT more money to afford my love for these products. 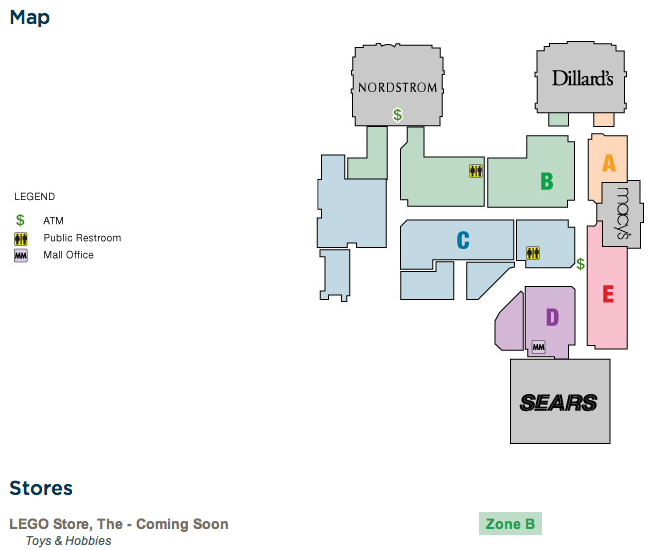 I took a 6 minute walk over to the mall to scout out the location of where the new store will be. Zone B is quite a stretch of stores, so I was happy to get in a bit of exercise in the process. 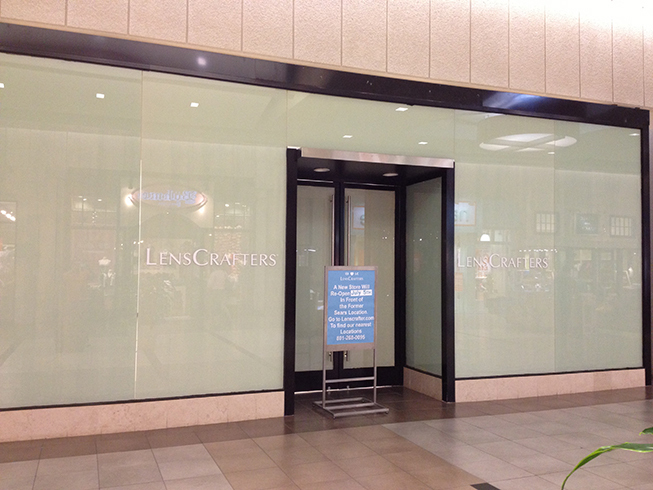 The store front location was found, which is the older Lens Crafters. It was easy to locate since this was the only store that had recently closed and relocated to another place in the mall. Peeking inside the window, there’s nothing even remotely ready to go just yet, meaning that construction hasn’t started yet. I will be going over once a week until I start to see some type of activity and once I get more solid updates, I will post them here on the blog. There is no official opening date, but checking this link often, I’m sure there will be an update on the grand opening, which I will be sure to cancel everything and attend and take pictures and smile big and spend at least $100 on new LEGOs. They don’t know if that’s a “soft opening” or a “grand opening” but hey, there ya go! Rob, thank you for posting this. I am marking my calendar for Sept 20th (and keeping updated with the above link for any changes to this date) Excited to finally have an official LEGO store here in Utah.